The 3M line of Self-Generated Vacuum Random Orbital Sanders (SGV) is air-poweredand delivers professional performance with a swirl-free finish in high-production industrial environments where dust extraction is preferred. These high-quality tools are designed to optimize the performance of 3M Abrasives and incorporate 3M Clean Sanding Filter Bags for effective dust removal. 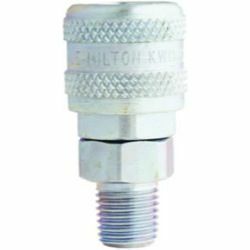 366.1840 - Milton 1/4 in NPT Fem Coupler H Style. Industrial interchange series. 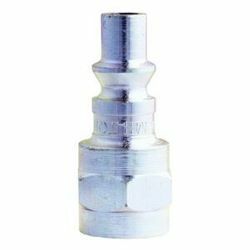 H style coupler bodies are heavy-duty steel and plugs are case hardened steel. Treated to resist rust. These couplers are for use with shop air only. 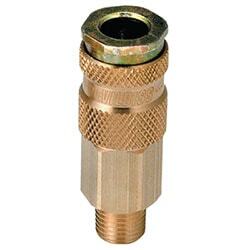 Specifications: All 1/4" - 3/8" and 1/2" maximum inlet pressure is 300 PSI. Buna-N seals. 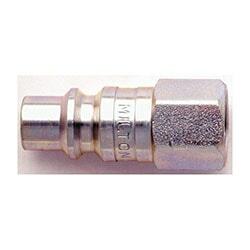 Milton 1/4 in NPT Fem Coupler H Style. 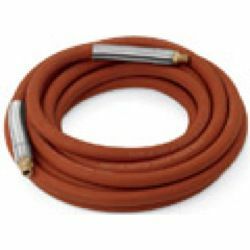 Ortac (Oil Resistant Tube and Cover) is the most popular premium-quality multipurpose hose. 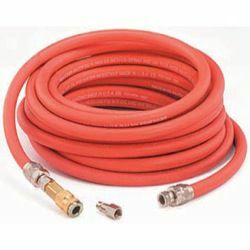 Used in the most abusive industrial applications - Ortac willhandle air - oil - water - kerosene and some chemicals. 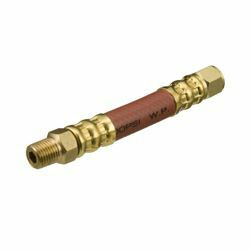 Non-conductive - minimumelectrical resistance greater than one (1) megohm per inch of hose length - at 1000 Volts DC. Tube Construction: Nitrile synthetic rubber. 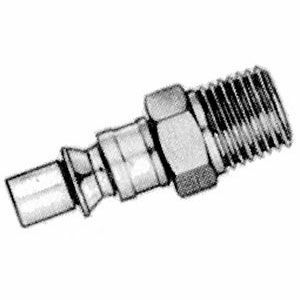 A STYLE COUPLERS - 1/4inch BASIC SIZE Aro style interchange series. 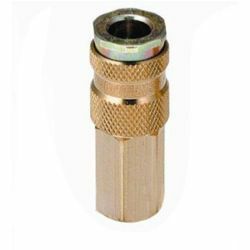 A style couplers are made of heavy-duty steel; plugs are case hardened steel treated to resist rust. Push type - body engages automatically. 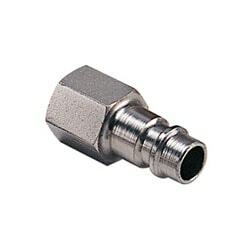 These couplers are for use with shop air only. 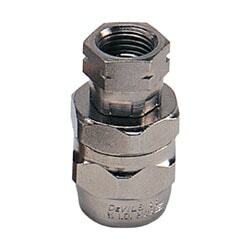 Specifications: All 1/4", 3/8", and 1/2" maximum inlet pressure is 300 PSI. Buna-N seals.